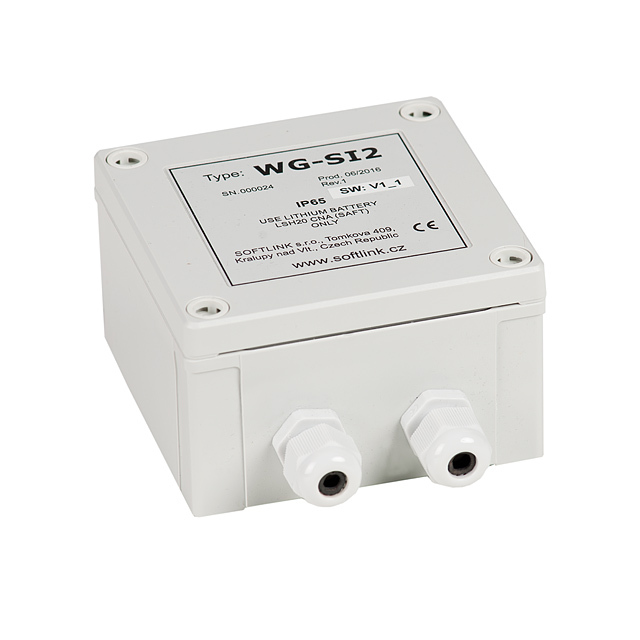 The WG-SI2 module is designed for reading data from pulse output meters (for example, water meters, electricity meters, gas meters, etc.) or binary output sensors (e.g. door contacts) and transmitting the read data via the GSM network GSM service. The module has two inputs for reading the SI pulses or binary signals. The data received from the connected meters are stored in its internal registers (up to 31 registers are available) and subsequently, in a preset time interval, sent to a preset telephone number in the form of one or more SMS messages. If a binary output sensor (e.g. a door contact) is connected to an input, the SMS module sends the message immediately after the sensor has changed its status (e.g. when the door contact has switched on). The time for storing the value in the register is adjustable to the clock, the message is sent after filling the specified number of registers (maximum 31 values). 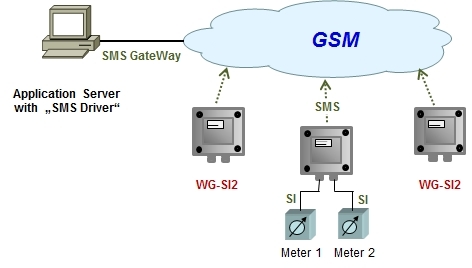 Each SMS can contain a status of up to three registers, so to be able to send the given maximum of 31 registers, it is necessary to send a series of 11 SMS.